Is it time for a new pair of boots or shoes? 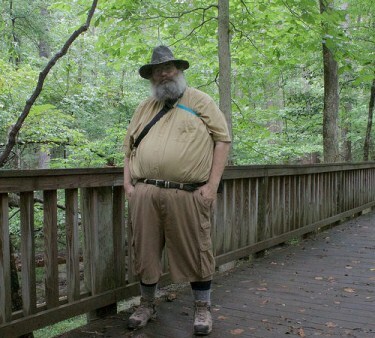 Well, if you are anything like us, you would much rather be on a trail than in a mall. Finding the right boots can be a challenge, especially if you're a big fella. Fortunately, we've done the research for you. 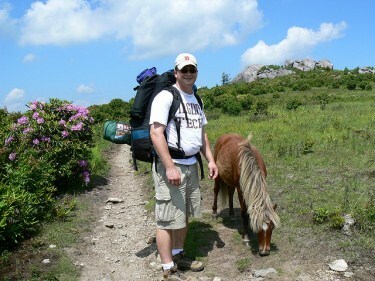 ...because in this guide you're going to discover the best hiking boots for big guys. 2 What Are the Best Types of Hiking Boots and Shoes for Heavy Men? 3 What Type of Hiking Boots Should I Buy? 4 What Brands Are Good For Large Men? What Are the Best Types of Hiking Boots and Shoes for Heavy Men? One thing to keep in mind is that your feet are responsible for carrying the full weight of your body when walking or standing. They also absorb the impact each time your foot hits the ground. Anytime you are carrying extra weight, whether on your body or in a backpack, your feet will have to work harder to support the weight and they will experience more stress. Additional strain will also occur on your knees, ankles and hips. Walking and even just standing can be painful. 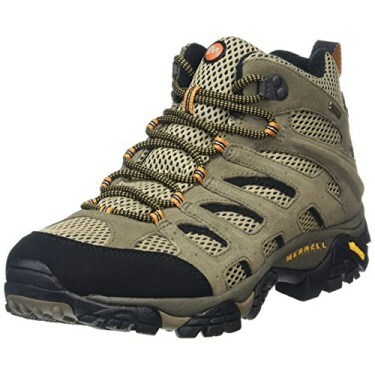 The best types of hiking boots and shoes for heavy men will be those that provide significant support and shock absorption, alleviating some of the stress on your foot. Also important for reducing stress on your foot is a boot that will keep your foot stable. As additional weight may cause your arches to flatten, a shoe or boot with good arch support is important to minimize the stress on your foot and avoid future problems. Often a wide shoe will provide the best fit for a large man as additional weight may cause your foot to expand. What Type of Hiking Boots Should I Buy? Key in a pair of boots or shoes for hiking is good shock absorption. The midsole is the part of the shoe responsible for this function; in addition to cushioning your foot, the midsole will absorb the shock of each step as well as play a large role in the stiffness of the boot. 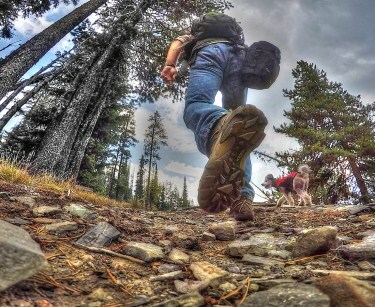 Most common midsoles in hiking boots are EVA (ethylene vinyl acetate) and polyurethane. EVA midsoles tend to offer more cushioning, are lighter and more affordable. Different densities can be used to provide more support in the places where it is needed. Polyurethane is typically more firm and is more often seen in backpacking and mountaineering boots. Arch support is another key component in your new boots or shoes. A removable insole is a plus because if the shoe does not provide the support that you need, you can replace the insole with a custom orthotic or aftermarket insole in order to achieve the comfort and support your feet require. Wondering whether to choose a shoe or a boot? Keep in mind that the shoes will be lighter, however the boots will be more supportive. Which is the best option for you will depend on a number of things like the type of hikes you plan to take, whether you are considering backpacking, your weight, and how much weight you plan to carry. What Brands Are Good For Large Men? Boot shopping can be challenging no matter your size; if you have big feet, you have likely found that not all brands offer the size you need, making your search more difficult. In our research we found that Keen, Lowa and Merrel all offer larger sizes in some of their boots, in both regular and wide. When trying on walking boots, choose a pair that fit snugly everywhere, however are not tight. The proper fitting boots will have room to wiggle your toes. If you take the insole out of the boot and stand on them, you should have space that is the width of your thumb from your longest toe to the end of the insole. While you should be able to wiggle your toes, they should be secure in the boot, as should your heel. It is best to try the boots on at the end of the day so that you will know how they fit once your feet swell. Also try them on with the socks that you would wear during your activity. Take the time to walk around in the boots on flat surfaces and inclines. This will give you an idea of how your feet will do in them over the course of an outing. Your toes should not hit the end of the boot when you are on an incline; if they do than the boots are too small. Part of obtaining the right fit in a hiking boot is lacing them properly. Check out the video below to learn more about how to lace your boots for a better fit. 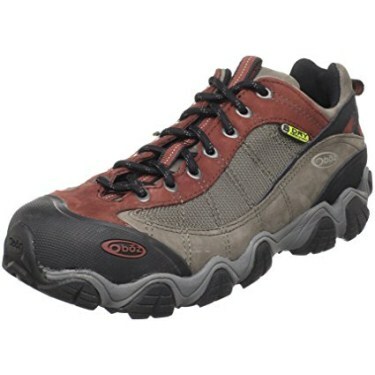 Keep reading for reviews of our top choices of hiking boots and shoes for big men. The Merrell Moab Mid-Gore-Tex Hiking boot (MOAB stands for “mother of all boots”) is available in sizes up to 16 and offers an EVA midsole as well as an air cushion in the heel; these work together to absorb shock and provide stability and comfort during your outdoor adventures. A molded nylon arch shank will protect your foot and offer the stiffness and support that you need as a big guy. The boots include a contoured footbed with a zonal arch and heel support added in, which will be particularly helpful should your arches have flattened. These waterproof boots by Merrell have a GORE-TEX waterproof membrane and mesh lining, which allow them to breathe well; your feet won’t remain sweaty, or stay wet all day after splashing through a creek. The KEEN Men’s Targhee II offers sizes up to 17 in both regular and wide, making this a good boot to consider for those with a larger than average sized foot. 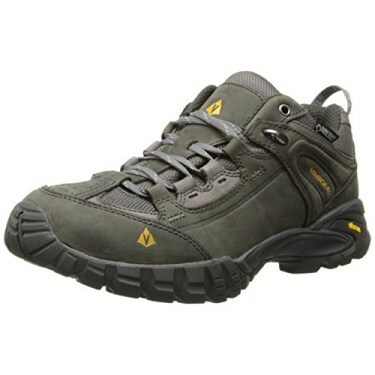 Offering a dual density, compression molded ethylene vinyl acetate (EVA) midsole, these boots by KEEN will provide the shock absorption and support that a big guy needs when tromping through the forest. The foot bed is removable, so if the arch support is not what you need it is easy to replace it with a custom orthotic or aftermarket insole. A shaft that measures about 5 inches from the arch of the foot will support your ankle and help stabilize your foot. The KEEN Dry waterproof breathable membrane will help your feet remain dry in wet conditions. 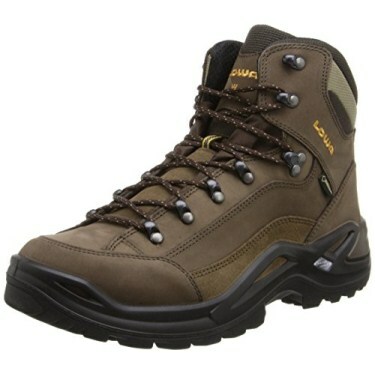 The Lowa Men’s Renegade GTX Mid Hiking Boot is available through a size 15 in both regular and wide. A polyurethane Monowrap Frame midsole will provide both shock absorption as well as the stiffness needed to support extra weight. A full length nylon shank (a semi-rigid insert fitting in the boot’s midsole) will protect your foot from sharp objects as well as offer stiffness and support during long outdoor adventures. The insoles are removable and can be replaced should these boots by Lowa not offer the arch support you need. Like the Targhee II by KEEN, these boots have a shaft that is about 5 inches from the arch, which will add support and stability. The water repellent leather and waterproof, breathable GORE-TEX liners will keep your feet dry despite snow or rain. The Oboz Firebrand II BDry Hiking Shoe (available in regular and wide through size 14) offers a dual density EVA midsole, which along with the nylon shank, provides shock absorption and stability to reduce the stress your feet experience on the trails. The O Fit Insole in these shoes is made specifically for Oboz and is meant to be very supportive, stabilizing arches and offering protection to the parts of your foot that receive the most impact from your adventures. Made of a waterproof Nubuck leather, these shoes by Oboz have a BDry membrane that will block water from getting into the shoes while also wicking away sweat, keeping your feet dry and comfortable. The Merrell Men’s Moab Ventilator Hiking Shoe includes an Air Cushion midsole and compression molded EVA foot frame that will provide cushioning, stability and shock absorption, all important when planning to walk long distances on uneven terrain. As with the Moab Gore-Tex boots, these shoes by Merrell have an air cushion heel that provides additional shock absorption and stability. The Vibram Multi-Sport TC5+ rubber outsole includes TC5+ rubber compound for grip and durability. These lightweight hiking shoes by Merrell include a waterproof and breathable Gore-Tex Performance Comfort lining, ensuring your feet remain dry. Additional support is offered in this leather and mesh upper through Dura leather strapping, which will protect your feet. The insole is removable; should it not provide the arch support you seek it can be replaced with a custom orthotic or aftermarket insole. The Vasque Men’s Mantra 2.0 Gore-Tex Hiking Boot is actually a low-cut hiking shoe that is built to offer the stability and grip that you would see in a backpacking boot. Available through size 14, these boots by Vasque offer a wider toe box that allows for your foot to expand during long periods of time on your feet. A tailored instep and lower-volume heel will keep your foot in place, providing the stability you need to minimize stress on your foot. Shock absorption is key and these shoes by Vasque include polyurethane midsoles that provide cushioning and stability as well as minimize stress from repeated contact with the ground. A thermoplastic urethane shank ensures support and its rigidity keeps your feet stable, no matter the terrain you encounter. The Vibram Nuassi outsole provides the traction you seek in order to keep upright in slippery conditions. 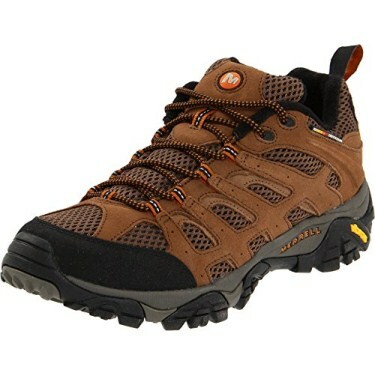 These boots by KEEN offer sizes up to 17 in both regular and wide widths. Known to run wide, particularly in the toe box, these boots are a great option for big guys when it comes to size. 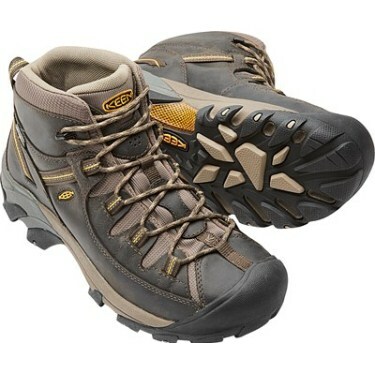 However, it is not just the availability of larger sizes that makes these boots our top choice. To start, we like the fact that the shaft of these boots measures 5 inches from the arch; this will provide additional support that you won't get from hiking shoes. For big guys, this support is important for your feet and ankles, particularly when carrying additional weight in a backpack. The dual density, compression molded ethylene vinyl acetate (EVA) midsole will absorb the ongoing shock experienced on your hikes, leading to less stress being put on your feet and legs. The 4mm multi directional lugs on the rubber outsole provide traction and stability for challenging terrain. The removable footbed allows you to customize these boots by KEEN to best support your feet; another reason why the KEEN Men's Targhee II Mid Wide Hiking Shoe is our top pick when it comes to hiking boots for big guys.